Do you remember your first ride on a mountain bike, or even your first ride back after a long break? Chances are that initial enthusiasm and the novelty-factor took you through a lot of progress in the first few months of riding. Regardless of your personal cycling history, knobby tyres and low gearing open up a whole new world of adventure. A world that is quite seductive and the fact that you are reading this magazine suggests you understand this allure. Just by riding a lot and having fun we all get better and fitter to start with. Eventually the body adapts to the demands of off-road riding and that early progress in fitness plateaus. Technical development may continue for some time longer, but the vast majority of people progress from beginner to intermediate and then remain there indefinitely. If you like to race and want to get serious, I’d advise that you get a coach to maximise your race performance. But what if you simply love to go mountain biking? Perhaps you’ve been riding for a while, have settled into a routine and really haven’t progressed much lately. It doesn’t matter if you are an occasional competitor or just want to keep up with your mates, to progress with your riding you need to continually vary the challenge. Here are some ideas on how to vary your routine so that you will continue to improve and become a faster, more capable rider. I hear it all the time; ‘I don’t like the trails at XXXX’. Come to think of it, in the past I’ve been guilty of saying this too. Trails that challenge you are often avoided. Jagged rocks, loose surfaces, steep sections, drop-offs or too many climbs; these are just five of the many possible reasons an individual might not like a particular riding area. It should be obvious but if you only ride the sorts of trails that suit your abilities, you’ll never expand your repertoire to include new stuff. While I do not think an absolute beginner should be worrying about this sort of thing, anyone who has been riding for a while does need to consider the implications. Once or twice a year I go on a DH mountain biking vacation. Accepting the challenge of downhill has drastically improved my XC riding, even on my home trails that I know very well. Additionally, once you open your mind to it and accept the challenge, it can be a lot of fun. Instead of thinking, ‘I don’t like that place, why can’t we ride somewhere else today?’ You should be thinking. ‘This is an opportunity to work on my riding and get better’. Ride outside of your comfort zone occasionally to push your mental and physical skills. Another argument I hear a lot is ‘I need a road bike to get fit’. While many XC racers do get their fitness from road riding, this is a matter of convenience and meeting the very specific needs of a high-level racer. For the vast majority of MTB riders, anything resembling training should be done on your mountain bike for maximum effectiveness. Only your mountain bike is your mountain bike! The relationship of the pedals, seat and bars, the gearing, the weight, the handling—no other bike is quite the same. To a lesser extent this applies if you have multiple mountain bikes; the hardtail behaves differently from the XC dually and a long-travel bike is different yet again. However, all of them are closer and more alike than a road bike. 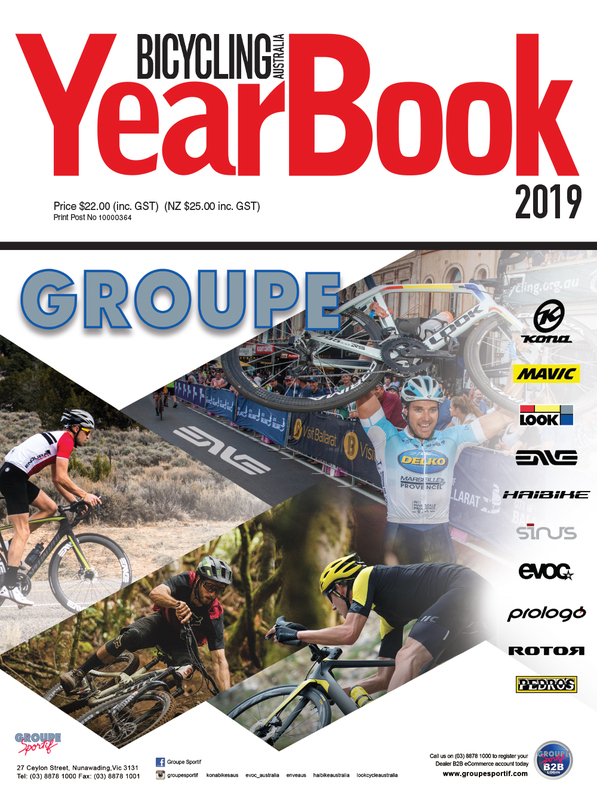 Sag - A champion racer such as Julien Absalon could ride faster than almost anyone while stuck on an ill-fitting bike with bald tyres and poorly adjusted suspension. For the rest of us, a good bike set-up will enhance your riding experience and encourage you to ride better. Start by taking the time to properly set the sag on your suspension. The blanket rule of 25% sag is a good place to start, but not end. Experiment! My own bike feels much better with around 30% sag. 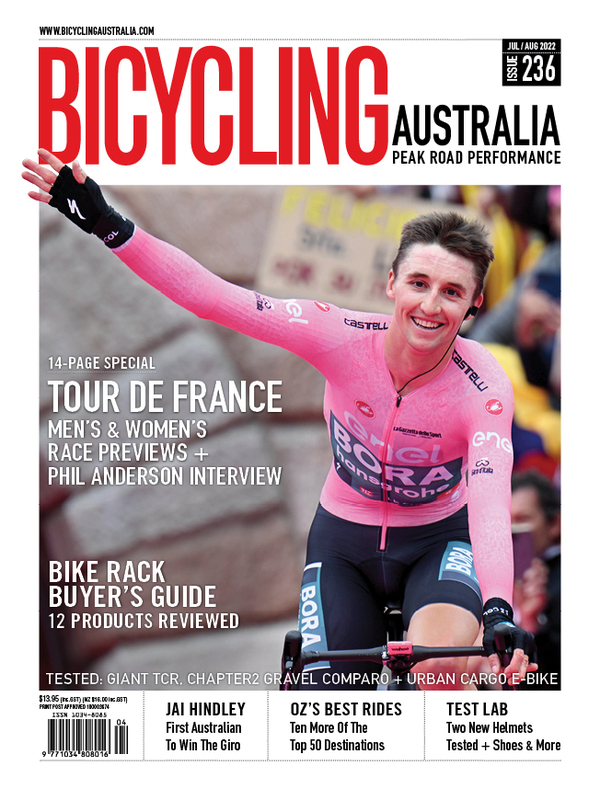 Refer to the article in Mountain Biking Australia Nov/Dec/Jan 2013-14 for a complete rundown on what sag is and how to measure it. Tyres - What tyre pressures are you running? For that matter, what tyres are you using? No tyre can work properly without appropriate air pressure, and having the right tyre for your local conditions can provide much more confidence. If you are running inner tubes, you probably can’t get away with much under 30psi unless you are light or your trails are very groomed. If the trail is rougher than average or your speeds are higher than average you will definitely want more than 30psi to avoid pinch-flat punctures. If you have gone tubeless you may be able to dip below 30psi to gain better traction and comfort. How low you can go will depend on a range of variables including your weight, how fast you hit stuff and how rocky the trails are. Wider rims will allow your tyres to perform better at low pressure, as they offer better support to the tyre sidewalls and make it less likely to ‘squirm’ when cornering. Likewise tyres with stiff sidewalls can allow for lower air pressures. Run some 30mm wide rims and you’ll probably be able to get away with 20psi without tyre squirm and gain substantially better traction. Front and rear tyres do not need to match. The rear carries about two-thirds of the weight and it generally follows where the front goes—fitting a rear tyre with less tread can improve rolling speed while still offering sufficient cornering grip. The front does most of the steering and braking so I suggest a full-knobby tread on that wheel for most riders. Bars - Take a look at your bars – are they higher than the top of the saddle? About the same? Significantly lower? To get good front wheel traction requires some weight on the front wheel. If your bar height is excessive, it takes more of a conscious effort to weight the front end. A high bar position can also make steep uphills harder to tackle and your front wheel will tend to wander all over the trail. With you saddle at full XC ride height (so your leg is fairly outstretched at the bottom of the pedal stroke), the bars should level with or a bit below the top of the saddle. Consider this a starting point for XC or general trail riding and feel free to experiment from there. As with anything there will be variables, so if you like to throw yourself down really steep trails, you may find a higher bar height desirable. These days a growing number of trail networks contain purpose-built skills areas, while other riding areas have skill-developing features scattered around the trails. Even without convenient access to a ‘skills park’ there are an awful lot of skills that can be honed if you give them a little attention. The wheelie and the manual (the former being enacted by the force of pedalling while the latter is done only through bodyweight shift), the bunny hop, pumping the bike for speed, riding no-hands, and the track stand are just a few skills that you could work on at the trail head, in your backyard, in the local park or really anywhere you don’t have to worry about cars. Pick one thing, watch several how-to videos on YouTube to get multiple opinions on how to perform it, then spend 20 minutes on your bike practising. Repeat often until you can do it. Then use the skill on the trail to amaze yourself or your friends. Quite separate from technical skills are physical fitness factors that determine how far and how fast you can ride, as well as how much climbing you can handle. If you want to increase your performance envelope so that you enjoy your riding more, you need to try something different. I am listing only two ideas below, but there are many other areas that can be improved, even for a recreational cyclist. Intervals - To go faster you have to ride faster. If you are comfortable when riding at 12km/h and you always ride at 12km/h, you may develop the ability to go further but not faster. ‘But I can’t ride faster for very long’, I hear you say. Well ride at 22km/h for one minute (which might well be impossibly fast at first) and then relax for several minutes before repeating the effort several times—this is an interval session! Do this once a week for a few weeks. Your average speed on rides should go up to 14 or 15km/h, which is a significant improvement. Climbing - To climb better, first find out what works for you. Some people bail into the smallest chainring as soon as they see a decent hill. They might pedal furiously, but since mountain bikes tend to have really low gearing, they aren’t going anywhere very fast. What happens if you try the hill several gears higher? Or lower? What about standing versus staying seated? To figure out how you climb best, devote some time to climbing differently. While you may have no intention of ever entering a race, doing some of these drills with a friend or two adds an element of competitiveness. It’s also more fun with mates and in the process you’ll further develop your skill set. - Stop! Have a read of the ‘braking techniques’ article on page 94 and use the following drill to hone your skills. Find a smooth, wide stretch of downhill fire trail and draw a line across with a stick. From a point up the hill, roll up to the line side-by-side with your mate. Don’t brake before the line and the winner is the person who stops first. Repeat often and try to minimise skidding through proper braking technique. - Go! Still on a wide bit of trail but this time going up, approach the bottom side-by-side and race to a predetermined place up the hill. Vary the distance to mix things up; a point that takes around 30 seconds to reach will develop power but you can also extend the drill to a two or five minute uphill. Make up some rules; only standing, not standing, lowest gear only or waving one hand the whole time like a rodeo cowboy—have fun with this one! - Up! Rig up a ‘high jump’ bar that can be adjusted between 10 and 30cm off the ground in small increments—I bought a length of two-by-four and cut several 10cm pieces off of the end. Now challenge your friends to a bunny-hopping contest. One person should get off the bike in order to reset the bar each time; let’s be realistic, it’s going to get knocked over a lot. Obviously trade places so everyone gets a turn. Keep working at it until you can clear at least 30cm height. Start with these little competitions if you like or invent your own. With a little imagination and finding the appropriate venue, almost anything that you do on a bike can be turned into a fun contest that pushes your skills. 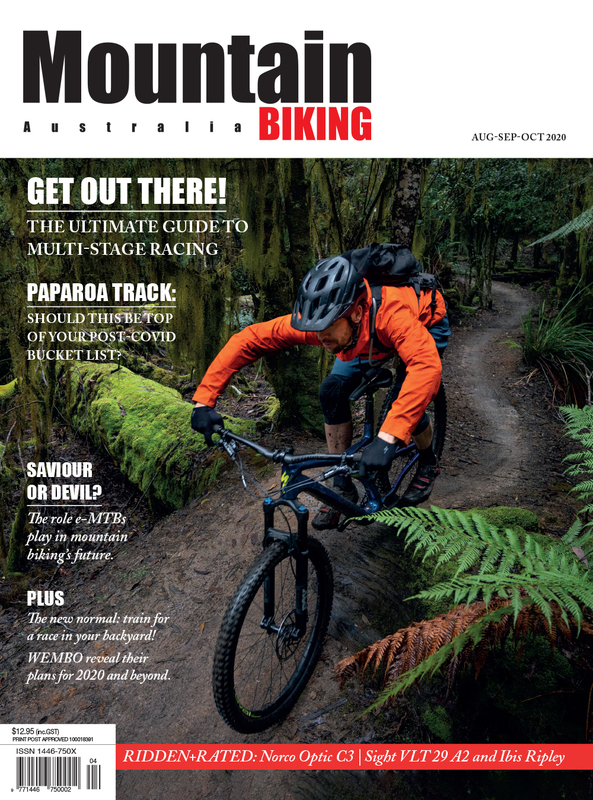 These little contests are fantastic for times when the trails are too hot, too wet or too far from home, or when you haven’t got time for a full ride. If you hope to see an improvement in your riding, you need to cause that change by not always doing the same thing. Experiment with your bike set-up. Get out of your comfort zone in which trails you ride, where you choose to go riding and with whom you go riding. Have some fun with skill development. Ride faster, steeper and further, but also try slower, flatter and shorter on occasion—really mix it up. Watch faster riders, follow faster riders and then be a faster rider.